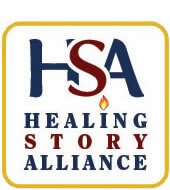 Diving In The Moon; Honoring Story, Facilitating Healing – Issues of HSA’s Journal, Diving in the Moon, are available on the HSA website, and each contains articles that are relevant to this topic. Again, we encourage comments on these articles as they relate to healing story and social justice, here. Storytelling Magazine – The National Storytelling Network magazine’s summer 2017 issue features stories of social justice, edited by Laura Simms and Jim May.